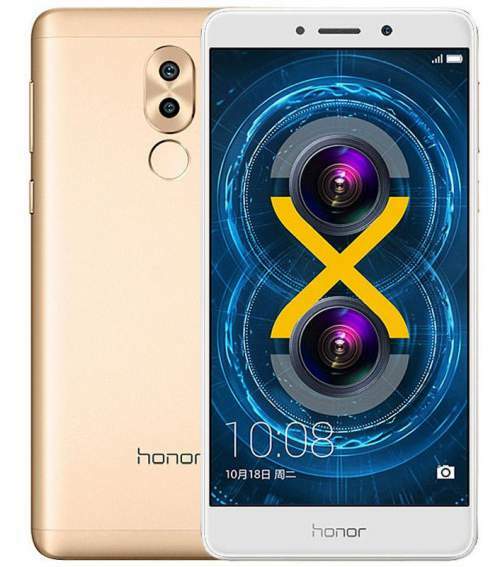 Honor 6X Price, Release Date, Specs, Features, Preorder: Huawei has launched a new smartphone. Honor 6x is a budget smartphone which was recently launched in China. Honor6X is a product from the house of Huawei. Like, Huawei is famous for a high specs budget smartphone, this smartphone is the budget smartphone with great specs. 6X is a successor of 5X. 5X was a huge success and 6X is the upgraded version of it. 6X is launched at an event held on 18 October. Talking about the specs. Honor 6X comes with 5.5 inches full HD IPS display with a resolution of 1080 x 1920 pixels and 2.5D curved glass protection. The protection by Corning Gorilla Glass 3 is provided by the company. It is said that the device comes in three bundles of memory and RAM. The first one sports with 3 GB RAM and 32 GB internal memory. The second comes with 4 GB RAM and 32 GB internal storage. The third one comes with 4 GB RAM and 64 GB internal storage. Check: WWE 2K17 Release Date. 6X is powered by Huawei’s HiSilicon Kirin 655 SoC (4 x 1.2 GHz + 4 x 1.7 GHz Cortex-A53). 6X has got fingerprint sensor, hybrid SIM slot, 4G VoLTE technology support and is powered by 3,340 mAh of battery. The fingerprint sensor of 6x is so fast that it can unlock the device in less than 0.3 seconds. Also: Xiaomi Note 2 Specifications. The rear camera of the device has a dual camera system. One camera on the rear uses 12 MP lens with 6P lens and PDAF and the other 2 MP sensor just below the 12MP sensor. There is also an additional LED flash near the rear dual camera system. On the front, there is an 8 M shooter for selfies and video calling. The company has mainly focused on the night photography this time. Else the camera quality is same as that of 5X. The pre-order booking of the phone is already started in China. The company will start shipping the devices from 25 October. Over the prices of the smartphone. The 3GB/ 32GB variant CNY 999 (Rs. 9,900), the 4 GB/64 GB variant is priced at CNY 1299 (Rs. 12,900) and the 4 GB/ 64GB variant is priced at CNY 1599 (Rs. 15,800). All the memory variants are available in Gold, Rose Gold, Blue,Silver and Grey colors. It goes on sale in China on October 25. Hope you have got enough information about the device. Stay tuned for more updates and rumors.